David Jones, MD is the President and Director of Medical Education of The Institute for Functional Medicine, headquartered in Gig Harbor, Washington. He has practiced as a family physician with emphasis in functional and integrative medicine for over 30 years. He is a recognized expert in the areas of functional medicine, the science of nutrition and lifestyle changes for optimal health, and managed care, as well as the daily professional functions consistent with the modern specialty of Family Practice. Dr. Jones is the recipient of the 1997 Linus Pauling Award in Functional Medicine. 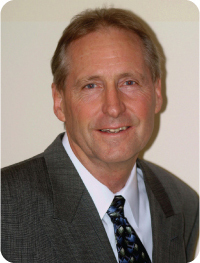 He is the Past President of PrimeCare, the Independent Physician Association of Southern Oregon (IPASO) representing the majority of physicians in the Southern Oregon area. He has served as Chief of Staff at the Ashland Community Hospital and as President of the Southern Oregon Society of Preventive Medicine. He was editor in chief of the TEXTBOOK OF FUNCTIONAL MEDICINE, published in 2005 and the lead author of a recently published document: 21st CENTURY MEDICINE: A New Model for Medical Education and Practice (2009), available at www.functionalmedicine.org. On April 14, 2011, Dr. Jones lectured at the 9th Annual Integrative Medicine Distinguished Lectureship: Personalized Medicine: Creating a Healing Partnership, sponsored by Oregon Collaborative for Integrative Medicine in Portland, Oregon. After graduation from medical school and completion of post-graduate training, Dr. Jones in 1975 settled in Ashland, Oregon, a community at the southern end of the Rogue Valley near the Northern California border. In Ashland, he has been involved in Family Practice for over thirty years. He has been active both in the clinical practice of medicine in the Rogue Valley, including being Chief of Staff at Ashland Community Hospital, as well as chairing and guiding the Southern Oregon Society of Preventive Medicine as acting President since 1977. Dr. Jones is the President and Director of Medical Education of the Institute of Functional Medicine (IFM), in Gig Harbor Washington. Over the last two decades, he has helped guide the development of Functional Medicine. The Institute provides continuing medical education for physicians and other healthcare professionals. Educational activities focus on teaching a personalized approach to healthcare focusing on assessment and treatment of underlying causes of illness in order to maintain and restore health and improve function. The Institute for Functional Medicine is committed to ongoing exploration and analysis of the scientific information that provides the foundation for understanding basic principles and processes of optimum healthcare. For ten years, he was also the President and/or Medical Director of PrimeCare, the largest physician managed IPA in Southern Oregon with over 400 healthcare providers. In that capacity, he was responsible for disease management projects focused on diabetes, congestive heart failure, asthma, low back management, depression, as well as other disease states. His area of acknowledged expertise is in the science of nutrition and other critical life style changes for optimal health, functional medicine and managed-care, as well as the daily professional functions consistent with the modern specialty of Family Practice and functional medicine. Dr. Jones is chief-editor of the Textbook of Functional Medicine, published in late 2005. He has also authored Healthy Changes, a patient-centered 16-week Workbook, which focuses on health-risk reduction. This text has been used in his practice as well as other clinics in North America, Europe, and Australia. He was primary author of the recently published: 21st CENTURY MEDICINE: A New Model for Medical Education and Practice, available at the IFM website, http://www.functionalmedicine.org. On April 14, 2011, Dr. Jones lectured at the 9th Annual Integrative Medicine Distinguished Lectureship: Personalized Medicine: Creating a Healing Partnership, sponsored by Oregon Collaborative for Integrative Medicine in Portland, Oregon. Dr. Jones has been blessed with three daughters. His older daughters, Dana and Ursula, are married and raising families while coordinating their own professional careers. His youngest daughter, Justine, has completed her BA degree at Portland State University in Portland, Oregon and is completing her first book. His wife, Kathi Bowen-Jones, teaches English and Social Studies at Ashland High School. Dr. Jones’s interests include tennis, hiking, literature and an abiding interest in the strange animals that we call humans. ﻿Stone Medical, PC and David Scott Jones, MD, PC share a philosophy of effective treatment, but are separate and distinct medical practices. The relationship between the practices is consulatative, but not legal or contractual.